Spirent Communications plc (LSE: SPT) announced today that the firm’s mobile device intelligence unit Tweakker has won its first contract with a mobile virtual network operator (MVNO) in Asia. Called redONE, the contract enables the MVNO to embed Tweakker’s self-care smartphone Device Guides on its website with a link toTweakker’s cloud. After training provided by Tweakker, customer care agents will be able to reference them to minimize the time it takes when on-boarding new subscribers if they experience difficulties in getting online. During calls, agents will simply direct callers to the correct place in the self-care device guide library on redONE’s website through a link delivered by SMS or email. 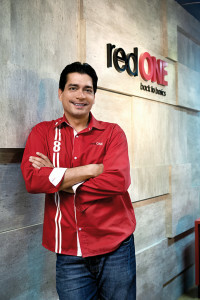 Founded in 2012, redONE built its customer base to one million in just under three years. With plans to open more retail outlets across the country next year, the MVNO expects to double its customer base by end 2016 through ambitious customer acquisition campaigns. Key to achieving its growth target will be the ability to offer postpaid mobile plans at the lowest rates as well as delivering the best possible customer engagement on-boarding experience. Tweakker’s cloud-based Device Guides enable mobile virtual network operators (MVNOs) to provide end-users flexible self-care and high quality customer care experience with radically reduced customer care costs. Through its market leading device intelligence library and APN Setup, Tweakker provides MVNOs fast and seamless zero-touch on-boarding for new subscribers ensuring rapid revenue uptake. By connecting with Spirent’s device library, MVNOs can tap into the world’s richest and most accurate device capability data, with over 150 data points per device, and to enrich their subscriber insight for marketing and business decision purposes. Spirent Communications plc. (LSE: SPT) is the leading provider of verification, assessment, analytics, and device intelligence solutions. We enable those who deliver networks, connected devices, and communication services to provide a superior user experience. From service provider networks and enterprise data centers to mobile communications and connected vehicles, Spirent works with leading innovators to help the world communicate and collaborate faster, better, and more securely.